13017. Aurene Julianne SABO (Grace BITLER , Clarence Edgar , Ira , Arthur , William , Daniel , John , Johannes ). 18364 M i Stephen W LUCAS. 13020. William John "Bill" BITLER (John Martin , Clarence Edgar , Ira , Arthur , William , Daniel , John , Johannes ). Bill married Maria Elena BARNOSKI. 18365 F i Lara Marie BITLER. Lara married Steven Austin KAINEN. + 18366 M ii Justin Craig BITLER. 18367 F iii Kristen BITLER. 13023. John Clarence BITLER (John Martin , Clarence Edgar , Ira , Arthur , William , Daniel , John , Johannes ). 18368 M i Sean William BITLER. 13026. Ronald M BITLER (Ronald Edgar , Harry Harden , Ira , Arthur , William , Daniel , John , Johannes ). Ronald married Patricia L RYAN "Patty". 18369 M i Ross BITLER. 18370 F ii Rachel BITLER. 13031. Hazen Sebastian ARNOLD III (Marcia Camou ROGERS , Roland Harmon ROGERS , William Sandford ROGERS , Hannah BITLER , William , Daniel , John , Johannes ). Hazen married Kathleen Mary PHILPOTT. 18371 M i Hazen ARNOLD IV. 13051. James C FALLIS [scrapbook] 1 (Betty BOOP , William Albert BOOP , Henrietta BUSH , Margaret NEIL , Catherine BITLER , Daniel , John , Johannes ) was born on 14 Jun 1939 in Sylvania, Lucas Co, OH. He died on 20 Apr 1997 in Sylvania, Lucas Co, OH. He was buried in Association Cemetery, Sylvania, Lucas Co, OH. 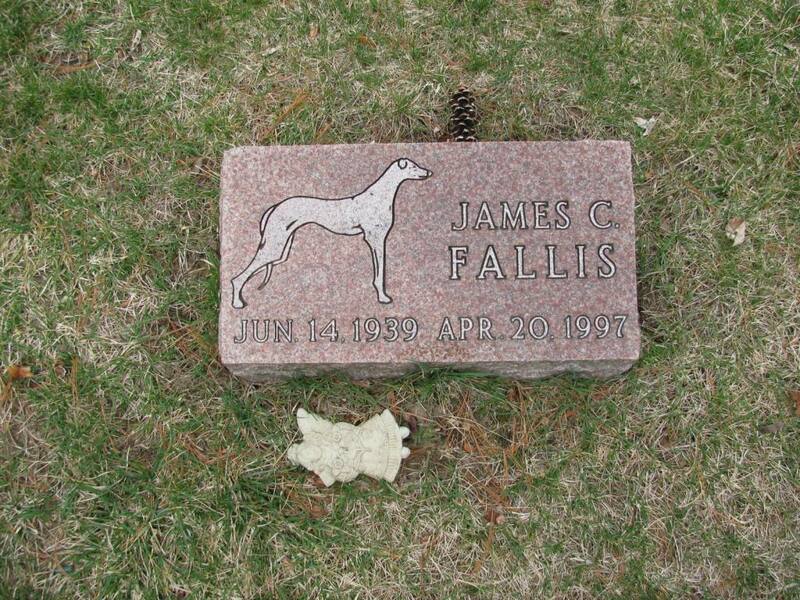 James resided in 1940 in Carey St, Deerfield, Lenawee Co, MI. He was issued a social security number in 1955/1956 in OH. 18372 M i Ronald James FALLIS. 18373 M ii Terry Allen FALLIS. 18374 F iii Pauline Louise FALLIS. 18375 M iv Richard Francis FALLIS. 13052. Jack L EVANS [scrapbook] 1, 2, 3 (John Carlyle EVANS , Freda Marie BUSH , Charles W BUSH , Margaret NEIL , Catherine BITLER , Daniel , John , Johannes ) was born on 17 Aug 1939 in Wapakoneta, Auglaize Co, OH. 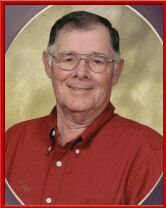 He died on 17 May 2010 in At Home, Wapakoneta, Auglaize Co, OH. He was buried on 20 May 2010 in Greenlawn Cemetery, Wapakoneta, Auglaize Co, OH. Jack worked as Supervisor - Chemical Division with British Petroleum in Lima, OH. He was a member of Wapakoneta Area Chamber of Commerce. He worked as founder, owner, and operator with Wapakoneta Antique Mall from 1995 to 2010. He served in the military with U.S. Navy. He served in the military with U.S. Army. He served in the military with Army National Guard. He was a member of Boy Scouts of America (leader, 8 yrs) in Alabama. He was a member of First United Methodist Church in Wapakoneta, OH. He was a member of Alvin Metzger VFW Post 8445 (life member and past commander). He was a member of AMVETS Post 333 (charter member). He was a member of American Legion Post 330. He was a member of Fraternal Order of the Eagles Aerie 691. He was a member of Roots and Shoots Garden Club. He was a member of Ohio Snowbirds of Alabama. He was a member of Buckeye Farm Antiques Inc.
+ 18376 M i Robert EVANS. 18377 F ii Jackie EVANS. + 18378 F iii Nancy EVANS. 18379 F iv Betsy EVANS. 18380 F v Jeanie EVANS. Jack also married Sue GRAF on 31 Mar 1984. 13055. James EVANS (John Carlyle EVANS , Freda Marie BUSH , Charles W BUSH , Margaret NEIL , Catherine BITLER , Daniel , John , Johannes ). 18381 M i Todd A EVANS. 13056. Patricia K "Patti" EVANS (John Carlyle EVANS , Freda Marie BUSH , Charles W BUSH , Margaret NEIL , Catherine BITLER , Daniel , John , Johannes ). 18382 M i Jason E SHROYER. 13062. Marcella Irene EADS [scrapbook] 1 (Beatrice Euanna DAVIS , Orpha Ida DAVIS , Daniel Harvey DAVIS , Lovenia BITLER , Henry , Daniel , John , Johannes ) was born on 5 Oct 1928 in Shelby Co, OH. She died on 11 Aug 1984 in Belle Center, Logan Co, OH. She was buried in Fairview Cemetery, Belle Center, Logan Co, OH. Marcella resided in Aug 1937 in Roscoe, IA. She resided in Sep 1965 in Belle Center, Hardin Co, OH. She resided in 1935 in New Carlisle, Green Co, OH. She resided in 1940 in 335 Ft Amanda Rd, Shawnee, Allen Co, OH. She resided in 1970 in Belle Center, OH. Marcella married Joseph Holmes BOWDLE II 1, son of Joseph BOWDLE and Gladys THOMPSON, on 25 May 1947. Joseph was born on 9 Dec 1929 in Near Roundhead, Hardin Co, OH. He died on 11 Nov 2011 in Belle Center, OH. Joseph resided in 1970 in Belle Center, OH. He worked in Roundhead, OH. He worked as full-time farmer. + 18383 M i Joseph Scott "Scott" BOWDLE was born on 7 Jun 1948. He died on 9 May 1984. 18384 M ii Thomas Lee BOWDLE. + 18385 M iii Steve W BOWDLE. 13063. Virginia Rose EADS (Beatrice Euanna DAVIS , Orpha Ida DAVIS , Daniel Harvey DAVIS , Lovenia BITLER , Henry , Daniel , John , Johannes ). Virginia married Robert Arnold RORHBACHER, son of Rinehart Robert ROHRBACHER and Alma BERG. Robert was born on 28 Sep 1926 in Duchouquet Twp, Auglaize Co, OH. He died on 20 Dec 2006 in Lima Memorial Health System, Lima, Allen Co, OH. He was buried in Greenlawn Cemetery, Wapakoneta, Auglaize Co, OH. Robert graduated from Cridersville High School in 1945. He served in the military with U.S. Army - paratrooper, 13th Airborne Division. He was a member of Duchouquet Township - trustee (19 yrs). He is a member of St. Matthew Lutheran Church. He was a member of Eagles Lodge Aerie 691. He was a member of Veterans of Foreign War Post 8445. + 18386 F i Joyce ROHRBACHER. + 18387 M ii Alan ROHRBACHER. + 18388 M iii Daniel L "Dan" ROHRBACHER. + 18389 F iv Connie ROHRBACHER. + 18390 M v Bruce A ROHRBACHER. 13066. Dolores June "June" LAMENT (Dwight Kenneth LAMENT , Orpha Ida DAVIS , Daniel Harvey DAVIS , Lovenia BITLER , Henry , Daniel , John , Johannes ). 18391 F i Vikki TAYLOR. 18392 F ii Laurie TAYLOR. 18393 F iii Debbie TAYLOR. 18394 F iv Julie TAYLOR. 18395 M v Terry TAYLOR. 18396 M vi Dwight TAYLOR. June also married Allen DANZEY.